“That’s a dangerous idea, and that’s the way we will view it. Prior to that, we will study the facts. They are viewed by us as a dangerous idea,” said Russian Deputy Foreign Minister Grigory Karasin on Thuesday. Last year's exercises, co-hosted by Ukraine and the United States, were held in July 2018 near the Odessa and Nikolayev Regions and in the northwestern part of the Black Sea, and involved over 2,000 multi-national servicemen, about 30 warships and aircraft from 19 countries. Meanwhile the press service of the Defense Ministry of Ukraine confirms that this year, “The international exercises will be held in the north-western part of the Black Sea, in Mykolayiv, Kherson and Odesa regions,” as cited in Defence Blog. 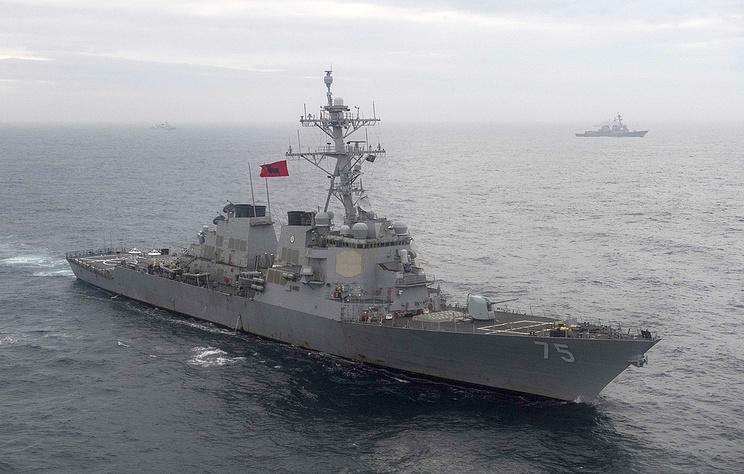 The U.S. Department of Defense has described the Sea Breeze exercises as "a U.S. and Ukraine co-hosted multinational maritime exercise held in the Black Sea and is designed to enhance interoperability of participating nations and strengthen regional maritime security." Crucially, and likely the element seen by the Kremlin as most provocative, it's being further described with the goal of strengthening "combined response capabilities" and to "demonstrate resolve among allied and partner nation forces to ensure stability in the Black Sea region." "This year, Sea Breeze 2019 drills are more important than ever. We are working for a result. It is preparedness to manage forces according to NATO standards, achieve interoperability of divisions and ships, and most importantly, Ukrainian-American exercises Sea Breeze 2019 are becoming a real instrument for maintaining stability and security in the Black Sea." Though given the ongoing dispute between Moscow and Washington over the collapsing Intermediate-Range Nuclear Forces Treaty (INF) which could take the world to the brink of a "new Cold War", the situation looks anything but stable. And by the time Sea Breeze-2019 commences, the INF issue will likely get even hotter as both sides declare their intent to expand offensive and defensive weapons capabilities.